(Nanowerk News) Microorganisms are everywhere and most of them are harmless, but they can do a lot of damage in the manufacture of pharmaceuticals or in tissue transplants. With the aid of a new device, germs can be detected in artificial cartilage within a few hours. The Raman spectrometer makes it possible to detect germs, for example in tissue transplants. We are surrounded by microorganisms. They inhabit our skin, the air we breathe, the surfaces we touch. In most cases this is not a problem, but there are situations in which these constant companions can be dangerous or even life-threatening. They are unwelcome, for example, on medical instruments, in culture fluids or on laboratory-grown tissue transplants such as cartilage. Constant sterility checks are therefore required during the production of artificial cartilage. Conventional testing methods for detecting germs are, however, time-consuming. Specimens have to be taken and then cultivated and reproduced in culture fluid because bacteria and fungi can only be detected in large quantities. Research scientists at the Fraunhofer Institute for Physical Measurement Techniques (IPM) in Freiburg, working in collaboration with the Fraunhofer Institute for Interfacial Engineering and Biotechnology (IGB) and the Fraunhofer Institute for Biomedical Engineering (IBMT), have succeeded in drastically shortening this process. Within just a few hours the experts can identify contaminations; one single germ is enough. "Using conventional methods it takes up to two weeks to test the purity of specimens, for example autologous tissue grown in a culture medium. The patient is given an implant although the sterility check has not been completed," explains Carsten Bolwien, project manager at the IPM. "With our automated Raman system we can check specimens immediately before they are implanted. We tested this on artificial knee cartilage. 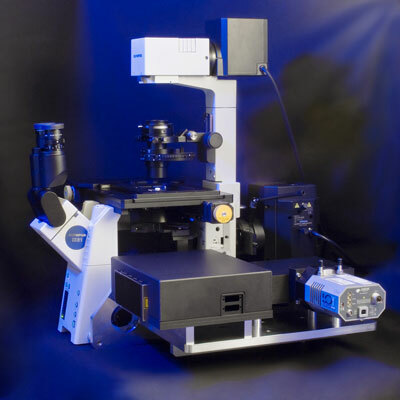 Our device combines a microscope with a Raman spectrometer. The aqueous solution containing the piece of cartilage is first filtered through a micromembrane. Only particles exhibiting a suspicious size are trapped in the tiny holes of the micromembrane, and we examine them spectroscopically. In comparison with the known spectra the Raman spectra enable the particles to be identified and contaminations by bacteria or fungi can be detected." A demonstration Raman spectrometer has already been built and can be seen at the Analytica trade show in Munich from March 23 to 26 (Hall A1, Stand 471). Initial blind tests checked by health agencies are scheduled to take place this year. The research scientists will examine artificially infected cartilage cultures and detect the contaminations. If everything goes well, the testing method will be officially approved.